Hiking is one of the most popular forms of exercising because it takes you out of your house and into the beauty of nature by simply putting on some good hiking boots. Across America, there are thousands of trails, big and small, that are often not far away from where you live. Getting in touch with nature is a huge benefit of hiking, as well as the health benefits, and often, it makes hikers want to search out the other trails to change up their routine and to see what other beauty exists out there. The best hikes in America are the ones that may be challenging, but also give you the beauty of this country, which makes the trip worth it. Here, we will discuss the best hikes in the US and discuss the beauty that you will see as you get in some great exercise. Before you leave, make sure you check on our piece on hiking essentials to keep you safe and ready for any emergencies. This trail is the oldest long distance trail in the country and ranges from the Canadian border to Massachusetts, with the best area to hike being known as the Jay Peak Long Trail. This 3.5 mile trail can take about 4 hours in which to hike and has a vertical rise of 1680 degrees. Located in the northern area of the Green Mountains, this trail is for beginners and advanced hikers. Here, you will see not only the mountains, but the MIssisquoi River that flows to Lake Champlain, St. Lawrence Seaway, and more rivers. The Appalachian Trail flows through 14 states, including Virginia, Maryland, New Jersey, New York, New Hampshire and Maine. The state of Maine holds 281 miles of the Appalachian Trail. Some of the hiking on this trail can be treacherous, where hikers must go slowly and hold on to trees and roots in order to make headway. Maine also holds part of the trail called the Hundred mile Wilderness, which is the most secluded part of this trail. Here, there are dozens of streams and rivers, as well as foliage and animals to see. It is not recommended to hike during undesirable weather. Also, the trail is for more advanced hikers, especially those who like a challenge. 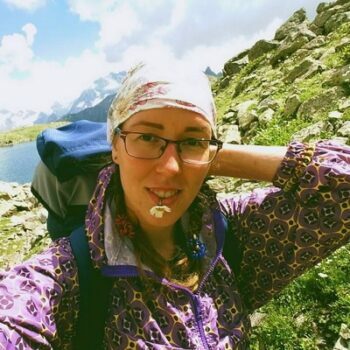 Excellent gear is important, so make sure you read the article on how to choose the top hiking boots to make trekking safe. 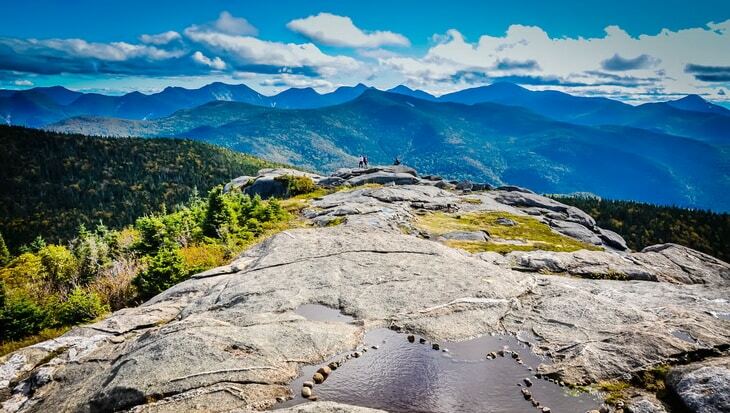 Located in Adirondack Park, Cascade Mountain is one of the 46 Adirondack High Peaks, coming in at number 36. On Cascade Mountain, there are several waterfalls that flow into Cascade Lake. 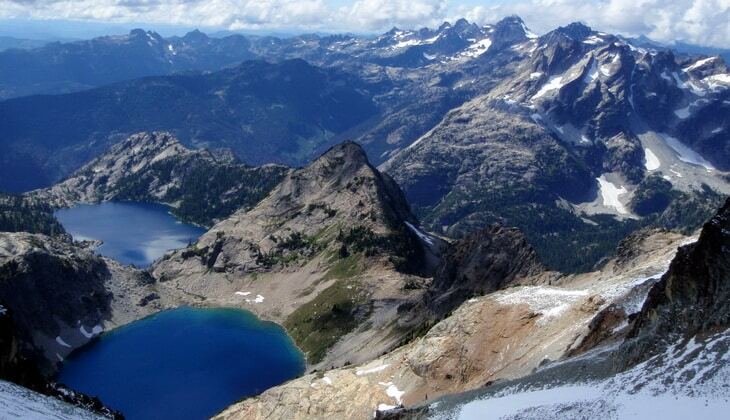 Known as the most accessible of the High Peaks, it is also the one most people choose to climb. It is one of the only mountains in the High Peaks where you can see the summit from the trail head. While hiking, you will go upwards 2.2 miles of gorgeous scenery and breathtaking views. Bring your camera to take snapshots of Saddleback, Gothics and Armstrong Mountains, as well as Big Slide Mountain in the foreground of the three aforementioned ones. 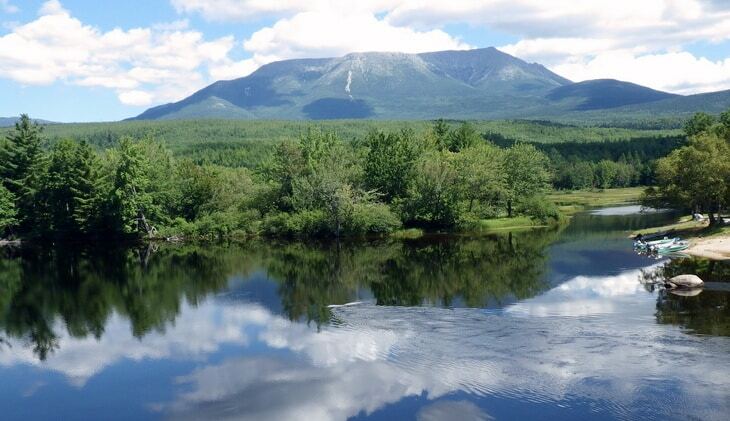 This 114 mile trail travels from Massachusetts to the bottom of New Hampshire. On the trail you will see the Metacomet Ridge and many geologic, scenic, and historic fascinations. There are waterfalls, summits, swamps, rivers, farms, historic areas and more on this trail, which will leave you in awe. 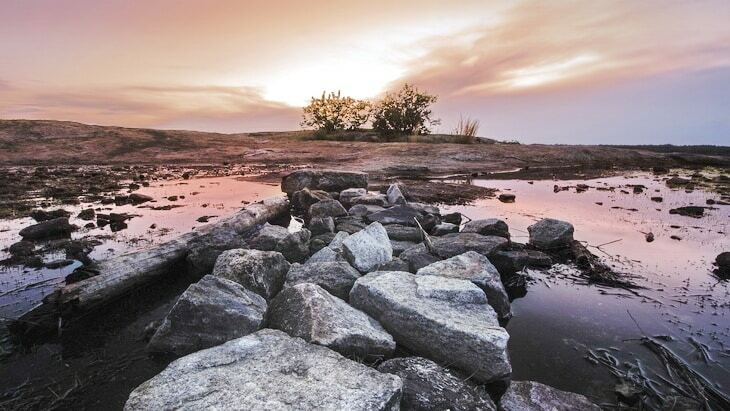 Don’t forget to look for the summits of Mounts Monadnock, Tom and Holyoke! If you hike the northern area of this beautiful place, you can see metamorphic rock that is over 400 million years old. The wilderness in this area makes hiking a challenge because of the ridges and crags, but that just makes it more fun! Once you see the granite walls and glacial valleys, along with over 700 lakes, you will find yourself wanting to explore the entire land! The formation is said to be millions of years old and was caused from lithosphere fragments forming along with volcanic activity! Trees are everywhere and you will see various kinds like Pacific Silver Fir, Grand Fir, Western Hemlock and Mountain Hemlock. Keep an eye out for the Western spotted frog, golden eagle, bald eagle and other animals that live in the area. 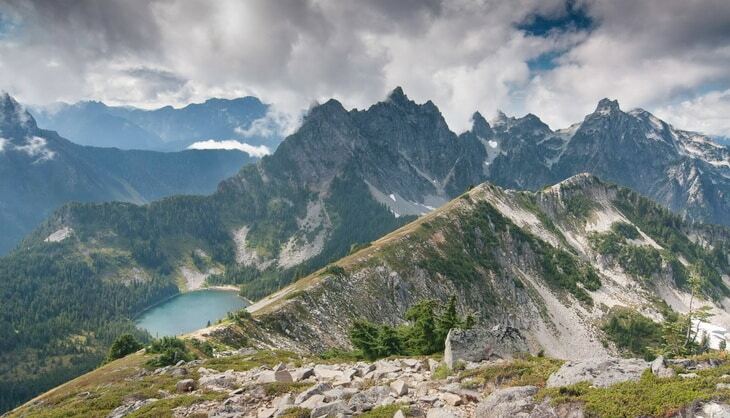 Located in the Cascade Range, the Wild Sky Wilderness is over 100k acres and includes the North Fork Skykomish River and Beckler River and is located next to the Henry Jackson Wilderness. This area is full of forests and foliage, so the fall time will be a perfect time to go to see the colors changing, all right in the middle of the Baker Snoqualmie National Forest. 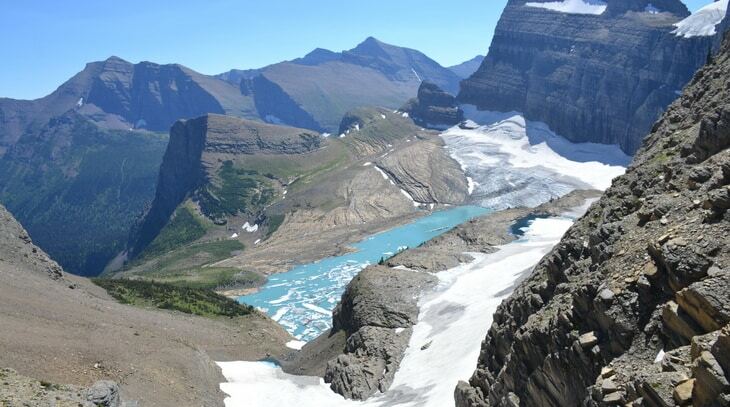 With an elevation of over 5,500 feet, you can get a full view of Glacier Park and Mt. Rainier. You can also check out the permanent ice that all over peaks like Merchant, Spire and Gunn. While hiking, you can also admire the hemlock, western cedar trees, and more! 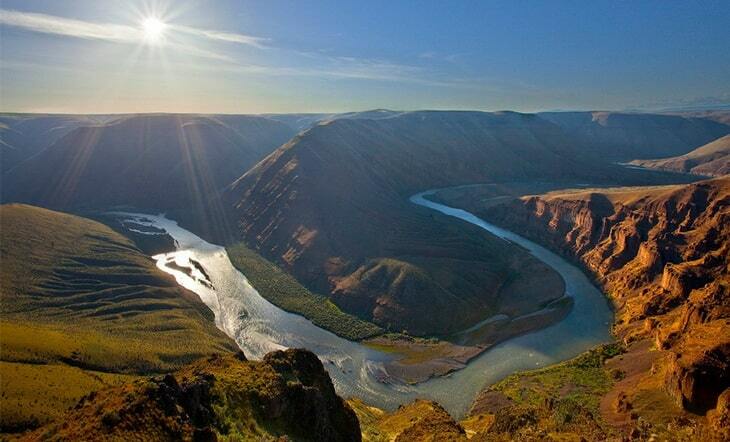 The Spring Basin Wilderness lies right next to the Wild and Scenic John Day River, and contains many cliffs, canyons and colorful features throughout. While hiking you may stumble upon a deer, bobcat, eagle or falcon. If you are a bird watcher, keep an eye out for blue birds and meadow larks. 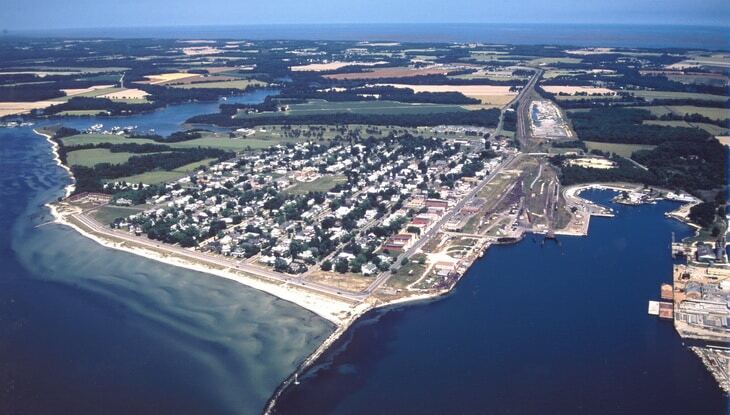 With over 6,300 acres, there is a lot to see and do! There are many wildflowers that bloom here as well as medusahead rye grass and cheat grass. 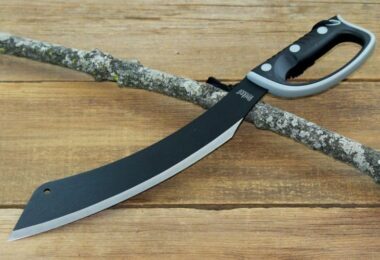 If you plan a camping trip here, you can also ride horses and hunt as well as other outdoor activities. Do not miss out on the fossils on your hike! 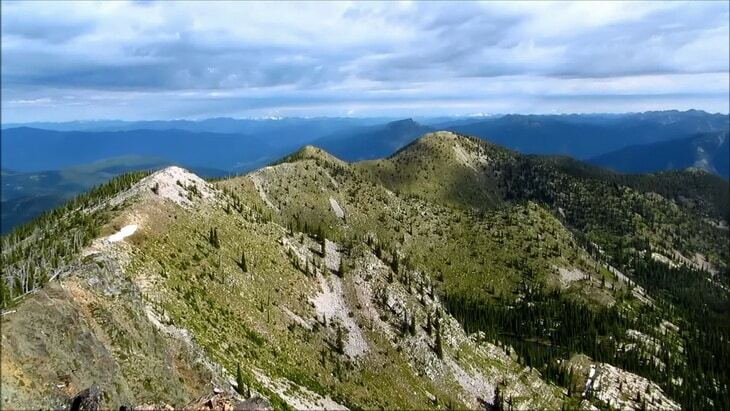 This 41,000 plus acre wilderness sits inside the Selkirk Mountains and is part of both the Colville National Forest and the Kaniksu National Forest. The eastern side is easier to hike than the other sides, especially the western portion, which is full of steep ridges and dangerous areas. Many endangered species live in this area like gray wolves and grizzly bears. The most common animals you will see here are deer, lynx, moose and cougars. Beacon Heights is a great hiking area and is really a bunch of peaks that lie between Beacon Valley and Arena Valley. Sitting in the Quartermain Mountains, the elevation goes up to 7,70 feet. Other mountains in the area that you can see include Mount Feather, Finger Mountain, Pyramid Mountain and Mount Benninghoff. The Blue Ridge Parkway can be seen on days with great weather. 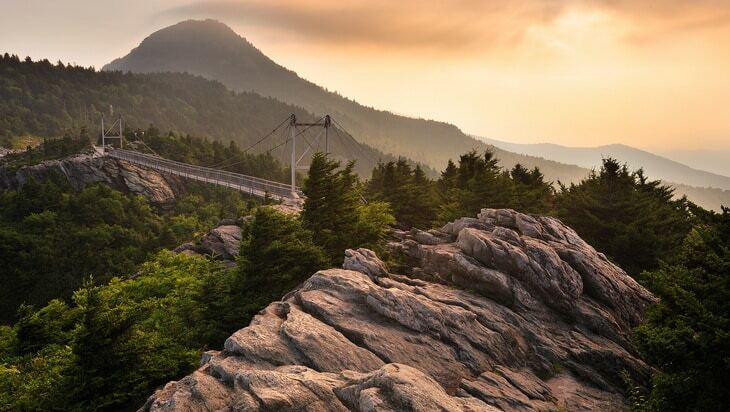 Don’t forget to check out Grandfather Mountain and MacRae Peak for some great views. Following this trail leads to the Tanawha Trail that eventually connects to the Atlantic Ocean! This trail is on the shore of Virginia on the Atlantic Ocean right on Virginia Beach. From this trail, you can see Cape Charles and the Chesapeake Bay, both astounding. Be sure to check out the Cape Henry Lighthouse while you are there as well as the Norfolk Southern Railway. If you wish to see the entire shoreline, simply head on down to Shore Drive, not far from the trail. At 6 miles long, you will not be disappointed in the amount of wildlife, especially birds. To capture every moment of your trip, see our article on first rate cameras for the outdoors, to give you plenty of options. The Torreya State Park is 12k acres and is a state park that is named for the Torreya tree with grows in the river bluffs down in Florida. This is also a national landmark as well as a historic site. 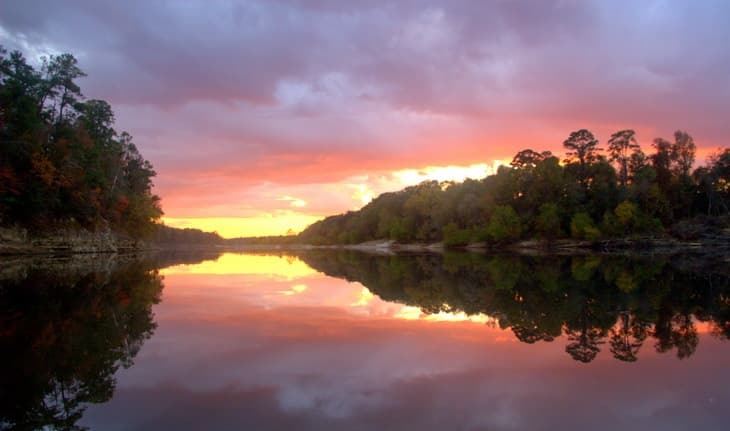 The Torreya Challenge Loop is located near the Apalachicola River, which is the northwestern area of the state, where the limestone bluffs are located. The area is also full of swamps, ravines, bluffs and pine lands. This place is great for beginners because the area is not that harsh is mostly flat land. The loop is 7 miles and is available all year long. The beautiful thing about Blue Spring Loop is that there is a spring located in the middle of the area that flows quickly and is amazing to see. 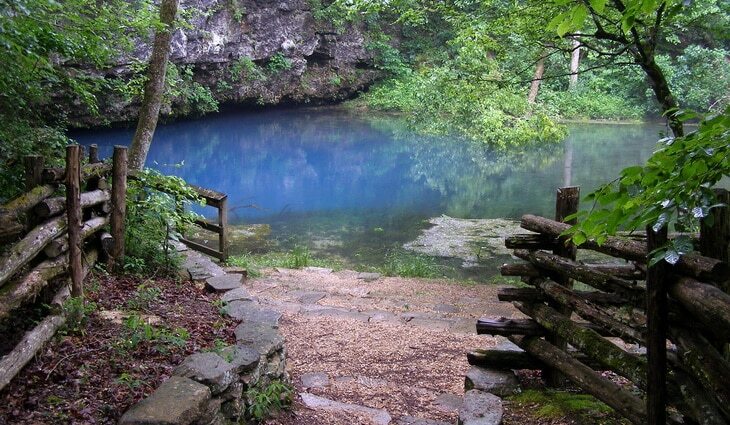 Located in Blue Spring State Park, many people not only come here to hike, but to swim, camp, fish and more. This is also very close to St. John’s River, in which the spring flows into. Bring your camera because there is a lot of wildlife to see! Check out the limpkins, red shouldered hawks, wood storks, vultures, and yellow crowned night heron while you hike with your friends! At 6.1 miles, this trail with many streams, ponds and vegetation is great for hikers at any level. Located in the Sangre de Cristo Mountains, you can get to Williams Lake from the trail and enjoy a hike around the area. This near the trail head by the Taos Ski Valley. This glacial area is beautifully snow capped and is over 11k feet in the air. 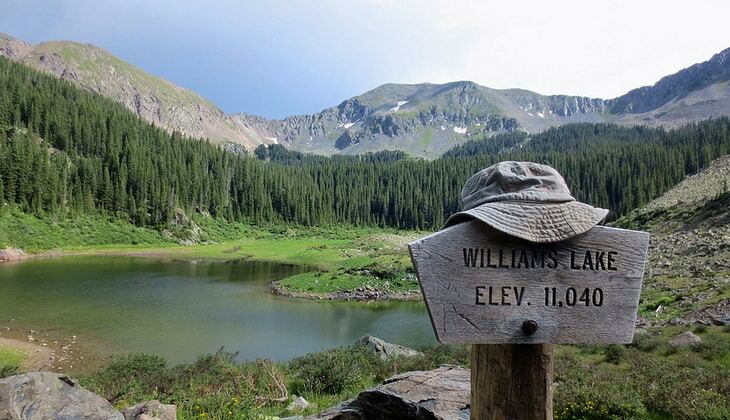 Once you are done with Williams Lake Trail, head on over to Wheeler Peak and discover more! This is also one of more visited trails in the valley, especially due to the emerald pine trees and the lake and is meant for hikers of any level of experience. Situated in the Elk Mountains in the center of Colorado, this near 200k acre wilderness sits in two national forests; the Gunnison and White River. 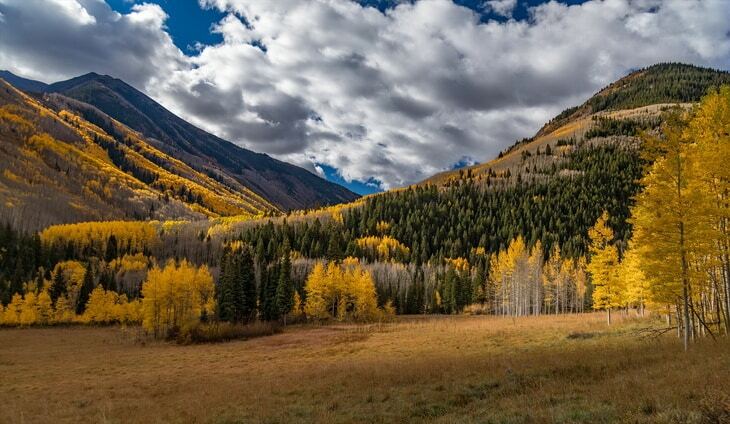 From this area, you will see peaks such as the Snowmass Mountain and the Maroon Bells. Snowmass Mountain sits nearly 15k feet high and features Hagerman Peak, which is right near the wilderness. This area is extremely popular and you will no doubt find many other hikers enjoying the area. One fun fact about this area is that it is the most photographed mountain areas in the state of Colorado. This trail is perfect for hiking and is located on Mount Wittenberg, which rises to an elevation of 1,407 feet. 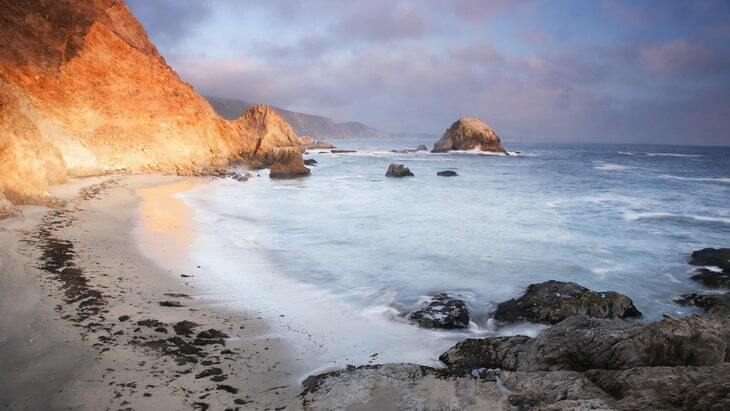 Here, you will find peaceful meadows and conifers all over, and the massive Pacific Ocean! From the summit, you can get spectacular views of everything. In total, the trail is 5 miles long and full of tall trees that are all throughout the area. While you’re there, you can also check out Meadow Trail, which roughly the same hike and just as pretty as the rest of Point Reyes National Park’s 70k acres. Keep in mind this trail can get steep, so it may not be best for beginners. Located in a very remote area of Zion National Park, the hike to the summit can be harsh, but the views make it worth the trip. There are several cliffs and drop offs. 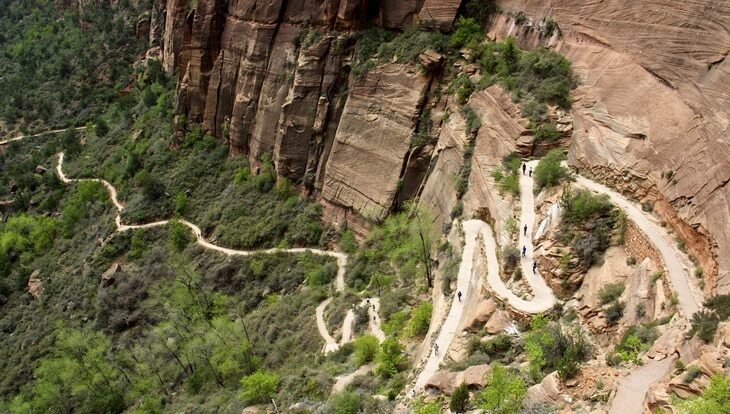 This trail is meant for those who are daring when it comes to hiking. 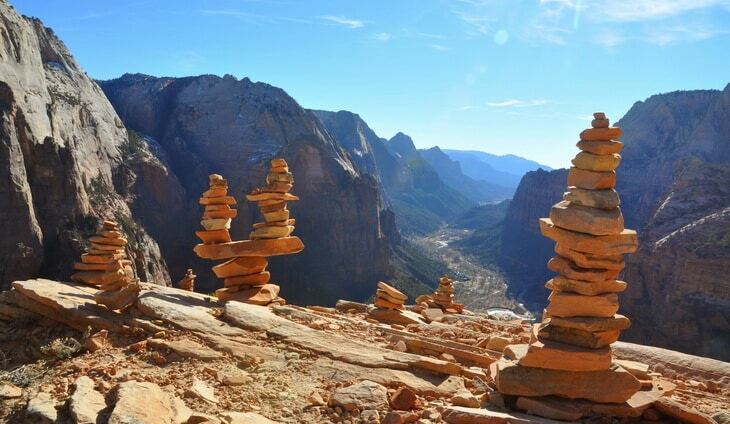 This rock formation is nearly 1,500 feet tall and once you reach the top, you get a memorable view of Zion Canyon. 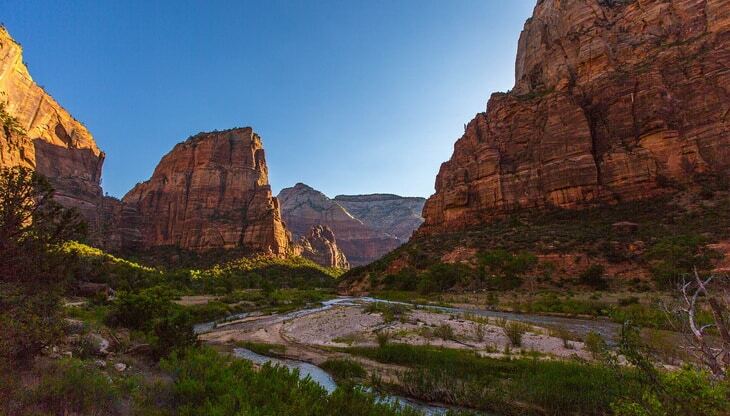 The trail is 2.4 miles long and goes through the Virgin River, where you will also find sandy areas and it becomes more steep. Never hike alone in case of emergency. Anything can happen, so keep a cell phone and a radio transmitter so that you can be rescued if anything occurs. Always make sure you have enough water, as well as those in your hiking group. You can become dehydrated quickly while hiking and it is important to take water breaks. Pack some snacks in your backpack, too, in case you are out longer than anticipated. Always tell people where you are going and when you are expected to be back, so they can know if they need to call the authorities. Keep your backpack filled with other items like a first aid kit and batteries. 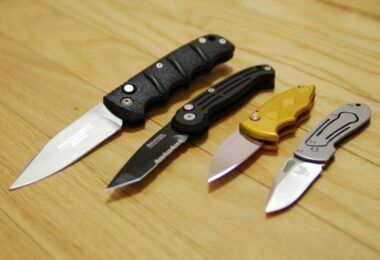 Having a flashlight or a headlamp can be extremely useful as well. Weather can change in a heartbeat. Check the weather before you go hiking so you know what to expect. Avoid steep or dangerous areas when the weather is bad. Have fun, but do not rush. Pace yourself so you do not tire out quicker. Take plenty of breaks in the shade to cool off. Not only will you get in some great exercise and become stronger, but you will enjoy looking at the beautiful scenery in some of the best hikes in the United States! These places have lots of historical, geological and interesting aspects about them and they are not to be missed! Grab your boots and go! Are you ready to see the world? 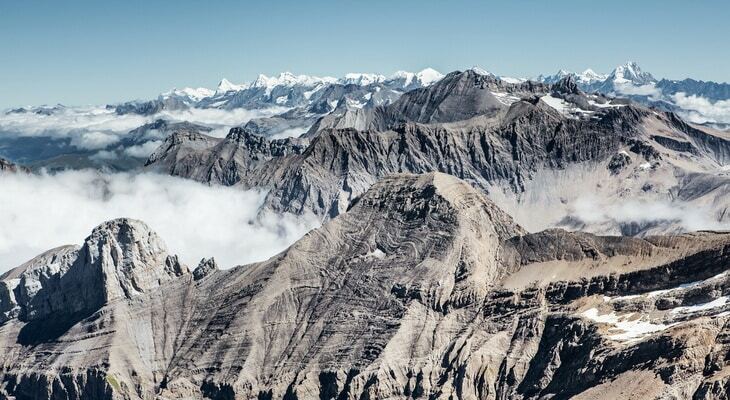 Our article on the best hiking spots in the world is a definite must-read for all outdoor enthusiasts.